In this article the Kohlberg’s Theory of Moral Development is discussed. Kohlberg’s theory is a direct continuation of the Piaget’s work on the same issues. Kohlberg’s methodology, and why he considers structure more important than content are discussed. The key aspects of the typical reasoning in the moral judgments of each level are discussed. The developmental issues and the criticisms of the theory are presented in the later sections. Also the various aspects of morality being context, culture and time dependent are discussed. thinking about the social understanding helps us to make more elaborate judgment’s about actions. Finally the behavioral component relates to the fact that exposure to morally relevant thoughts and feelings can only increase the chances that we will act accordingly but does not guarantee the same. Story A: A little boy who is called John is in his room. He is called to dinner. He goes into the dining room. But behind the door there was a chair, and on the chair there was a tray with ﬁfteen cups on it. John couldn’t have known that there was all this behind the door. He goes in, the door knocks against the tray, bang go the ﬁfteen cups and they all get broken! Story B: Once there was a little boy whose name was Henry. One day when his mother was out he tried to get some jam out of the cupboard. He climbed up on to a chair and stretched out his arm. But the jam was too high up and he couldn’t reach it and have any. But while he was trying to get it he knocked over a cup. The cup fell down and broke. The responses that Piaget got from children between ages 5 and 13 he could identify two general stages of the moral understanding viz. heteronomous and autonomous morality. 1. The unquestioned respect for rules and those enforce them. As young children think that view of all the people about the rules are same, their moral understanding is characterized by realism, which means that they regard the rules as “external features of reality, rather than as subjective, internal principles that can be modiﬁed at will.” The presence of realism and egocentrism leads to young children focussing on the objective consequences rather than the intent. In the stories about John and Henry, John is considered more naughty because he broke more cups, even if he did not wrong intent in doing so. Another thing that the children having heteronomous morality believe in is the concept of immanent justice i.e. they believe that wrong doing always leads to punishment. The punishment thus received is inescapable and can be through a variety of events. Reciprocity is the main driving force in the understanding of children in autonomous morality. Children realize that, “rules are ﬂexible, socially agreed on principles that can be revised to suit the will of the majority.” The children can question the logic of the rules and just do not blindly follow them, they can realize that at times there may be good reasons to break a rule. Punishment are also seen in the light of principle of reciprocity. The punishment should be meted in an even-handed way to everyone responsible for the oﬀense, thus guaranteeing justice for all. Piaget’s two stage theory gives a general account of the development of the moral understanding in children. The essential aspects of the theory relate with Piaget’s view that child’s development in general goes through a stagewise manner dependent on the age. The followup studies indicate the conclusions of Piaget that “moral understanding is supported by cognitive maturity, release from adult authority, and peer interaction. We now consider some aspects of this theory that have been questioned. Considering the stories of John and Henry, they present a biased view of child’s reasoning as more damage is coupled with good intentions and vice versa. If the same scenario is presented on the same grounds of damage, even the younger children can judge the ill intentioned person as naughtier. Also by the age of 4 years children are able to recognize the diﬀerence between lying and truthfulness, two morally relevant intentional behaviors. Thus the capacity to consider intentions appears in children much earlier than Piaget believed a deeper understanding does not arise till they reach autonomous morality. this many factors are responsible at an earlier age than assumed by Piaget, these factors include, “the attributes of the individual, the type of behavior to be controlled, and the context in which it occurs. judgments.” Thus child’s moral thought appears as “patchwork of diverse parts.” But to this Piaget recommended that, “the two moralities be viewed as ﬂuid, overlapping ‘phases’ rather than as tightly knit stages.” Also studies indicate that the moral development goes beyond the two stages of Piaget. Kohlberg’s work presented in the later sections is a direct continuation of the Piaget’s work on moral development. In Europe, a woman was near death from a special kind of cancer. There was one drug that the doctors thought might save her. It was a form of radium that a druggist in the same town had recently discovered. The drug was expensive to make, but the druggist was charging ten times what the drug cost him to make. In the response received from the sub jects [72 boys of ages 10, 13 and 16 in the core sample] to the moral dilemma presented above Kohlberg was more interested in the structure than the content of the response. So just a ‘yes’ or ‘no’ response to the question presented above will not provide us with the reasoning behind this moral judgment. In fact for the ﬁrst four stages that Kohlberg identiﬁed, both the responses are found with diﬀerent reasoning at each stage. To ﬁnd out this reasoning the ‘why’ questions are asked and the sub ject is further probed with other related dilemmas. Based on the diﬀerent response he got from the children Kohlberg was able to classify them into various stages. Kolhberg was able to identify three general levels and six stages in all for the moral development in children. This stage is similar to Piaget’s heteronomous stage of moral thought. The child regards the rules as ﬁxed, handed down by adults which must be obeyed at all costs. The child is unable to take two points of view for the moral dilemma. It might at the ﬁrst glance seem that stage 1 and stage 4 sub jects are giving the similar responses, but the reasoning that the stage 4 is quite elaborative. Stage 1 children cannot elaborate the reasons, except that stealing will lead to jail, stage 4 respondents, on the other hand have a broader conception of the function of societal laws as a whole, which exceeds the capacity of the stage 1 child. a pro-stealing answer to the Heinz dilemma, the reasoning being of course diﬀerent from the previous levels. then see the society from these perspectives. The stage 5 people regard society is “best conceived as a social contract into which people freely enter to work toward the beneﬁt of all.” Even with some diﬀerences in the society the stage 5 people believe that rational people in the society would agree on some basic points. “First they would all want certain basic rights, such as liberty and life, to be protected, and second they would want some democratic procedures for changing unfair law and for improving society. The stage 5 respondents are strong believers in the democratic process. But during a democratic process he outcomes are not always just for the minority group. Hence Kohlberg believed “that there must be a higher stage–stage 6–which deﬁnes the principles by which we achieve justice.” At this highest stage the right action is deﬁned by the self-chosen ethical principles which are valid for the humanity as a whole regardless of societal laws. Most of the social reformers and the moral leaders will fall in the stage 6. The claims of all individuals need to be looked at in an impartial manner respecting basic dignity of all people. In this section we brieﬂy consider the main theoretical issues regarding the theory. They include the developmental aspects of the theory, the Piagetian stage concept in the context of Kohlberg’s theory. that are externally seen are a manifestation of one’s own thinking about moral problems. Social experiences promote the development of moral thinking, by stimulating our mental processes. When we discuss with others, our view are challenged due to which we are force to think about ‘better’ positions that we can take. The stages of moral development reﬂect these broader viewpoints. Thus our interactions with the society and our own thought process combined gives us the ability to advance from one stage to the next. As already mentioned Kohlberg being a close follower of Piaget, has taken the stage concept of Piagetian framework criteria very seriously. The following aspects of his theory are shown to be related to the Piagetian framework. The qualitative diﬀerences in the diﬀerent stages is evident from the diﬀerent response that is given by the individuals in diﬀerent stages. Quantitatively the stages do not seem to have much diﬀerences. The stages are not just isolated responses present given by the individual, but are a more general patterns of response that are found across many domains. Thus the stages are structured wholes in the sense that they truly depict the whole moral development of the individual which is valid across domains. not conclusive, as a child at higher age could have possibly skipped some previous stage. To resolve this issue longitudinal studies were undertaken. In longitudinal studies the same children are tested regularly after a period of 3 – 4 years. Almost all children in one of the longitudinal study moved through stages without skipping. Another aspect of moral development is that it is very slow and gradual process. hierarchically integrated, he means that people do not lose the insights gained at earlier stages, but integrate them into new, broader frameworks. Thia is a very important concept for Kohlberg because it explains the directional nature of the stage sequence. Since the stage sequence does not have a genetic blueprint, the previous stages must form a ‘platform’ for the next stages to emerge. Thus each new stage provides a broader framework for dealing with moral issues and is thus more cognitively adequate than the prior stage. that help the advancement of the stages are prevalent in the ‘technologically advanced’ societies, second that the method of evaluation is not suited for all cultures. This point is more elaborated upon later. be the social diversity that is encountered in the college campuses, introduces the people to the issues involving political and cultural groups. advancement in moral reasoning is related with many aspects of social behavior, particularly being more prosocial, this is consistent with Kohlberg’s prediction. Kohlberg states that moral development depends on cognition and perspective taking in a very speciﬁc way. Each moral stage requires certain cognitive and perspective taking abilities but these abilities alone do not guarantee that moral development will occur. Thus these cognitive and perspective taking abilities are deemed to be necessary but not suﬃcient for the moral development of the individual. 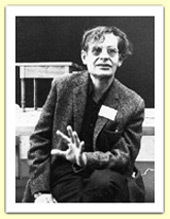 In this section we consider some criticisms about the Kohlberg’s theory. The two main criticisms that the theory faces are of gender bias and of cross-cultural diﬀerences. The other include the facts that are already mentioned viz. that moral thought and behavior are diﬀerent. Also people tend to respond diﬀerently in real life and hypothetical situations [this particular aspect was seen during the presentation when asked about the moral dilemma regarding the help in exam]. The theory does not talk about moral development of very young children, where the methodology of moral dilemmas might not work very well. Also many researchers have questioned the very concept of a post conventional morality in Kohlberg’s formulation. Gilligan a co-author and associate of Kohlberg. According to Gilligan the advance moral thought for males and females has diﬀerent ideals. For males the moral thought revolves around rules, rights and abstract principles, whereas for the females the moral thought revolves around interpersonal relations and the ethics of compassion and care. Thus the ‘scale’ of moral development has been ‘calibrated’ from a male perspective and it is improper to judge the moral development of females by this scale. In fact it has been found that the advanced moral thought revolves around rules, rights, and abstract principles. What Kohlberg has essentially done is that he has created a ‘moral yardstick’ with which he intends to measure the morality all the individuals in all cultures. Perhaps it might be the case that the aspects of morality that are rated very highly on Kohlberg’s scale are not considered to be signiﬁcant in some other cultures. And it might be the case that the moral dilemmas presented for evaluation altogether fail to capture the post-conventional morality present in diﬀerent cultures. The Kohlberg’s scale is highly Eurocentric [Western] and might fail to consider the aspects of morality that are alien to the European thought. For studying diﬀerent cultures this ‘moral yardstick’ needs to be ‘re-calibrated’ keeping in mind the particular culture to be studied. Also presenting the same moral dilemma setup in a totally European background might not be a useful idea, the dilemma also needs to be contextualized taking into account the particular culture under study. The moral behavior and thinking in a society represent give us an insight into the philosophy and the culture of a society. The major inﬂuences that are responsible for the moral development of the individual according to Kohlberg are the parents, peers, education and the own thought process of the individual. The inﬂuence of religion is not at all considered in the Kohlberg’s developmental theory, whereas religion plays a signiﬁcant role in the development of children at least in the young age. In fact most of the moral judgments that the individuals make are deeply inﬂuenced by the religion they follow. In this regard the position of some religion will be diﬀerent than the other, so a follower of a particular religion will respond to the situation diﬀerently. Let us take an example of clinical death. If asked with a moral dilemma that involves a person opting for clinical death [hence in a sense committing suicide], the responses that we receive are more likely to vary with respect to the religion of the respondents. Another controversial issue that would raise similar concerns is that of abortion [in a sense considered murder]. Another example on similar lines that could be taken is that of a hunter following a wounded prey, and a response can save or end the prey’s life. The responses in this case will depend on the sort of society the individual has been bought up in [vegetarian vs. meat eating]. ‘cultural values.’ Most of these ‘moral police’ don’t seem to put any thought of their own to the issues they consider as ‘immoral,’ instead what somebody says is blindly followed without any remorse. On Kohlberg’s scale the so called ‘moral police’ will be at stage 1. So by asking morally relevant questions that are in direct conﬂicting with one’s outdated religious beliefs can really lead to one’s moral development in this regard. We cannot really compare the moral values of the contemporary society with that of a society in the past. The rights and the principles that were the ‘guiding lights’ for people in the past might not be even considered in the todays society as relevant. Hence to compare the moral judgments of the people in the past with our own contemporary society does not help. Similarly to compare the moral judgments of two diﬀerent cultures does not provide the index of moral development of a particular culture. executed by George Bush to wage a war with Iraq, and ma jority of the American public ‘morally’ supported the war without putting their own thought to it. They would also score for stage 1 in Kohlberg’s stages. So the issues which really matter in one’s perception of the diﬀerent aspect needs to be taken into account when considering the moral stage of the individual. A person in the lower strata of the society might consider stealing from the society as morally justiﬁed [because it is due to society that he poor]. When the world colonization began and the European Empires extended beyond the boundaries of Europe, another example of twisted morality can be seen. Many British authors including Rudyard Kipling regarded the Anglo-Saxon race as a race which was destined to rule, thus ‘morally justifying’ their atrocities against others. Thus it was a ‘moral responsibility’ of the British to rule India. We can hence see that the concept of being ‘morally right’ can be entirely context and time dependent. became so frustrated by this ‘moral dilemma’ that even with all such military might they could not but defeat a non-violent revolt. The resolution of this ‘moral dilemma’ resulted in the ‘moral development’ of the British Empire, which thereafter lost its ‘moral right’ to rule the world. As per Kohlberg’s three level, six stage theory, morality changes from concrete towards abstract, principled justiﬁcations for moral choices. Each moral stage en-corporates the previous ones and has certain cognitive prerequisites that are necessary for the development to occur. The moral development does not occur until there is a support present at various levels like family, peers, schooling and society at large. Although justice is given a emphasis more than that of care it does not underestimate the moral maturity of females. As the individuals advance through the stages the moral thinking becomes better related to moral behavior. The index of moral development that is presented by Kohlberg by presenting the subjects with a moral dilemma needs to be taken with respect to the broader social and cultural context that the particular individual represents so that any bias that is present can be eﬀectively eliminated. This entry was posted in developmental theory, kohlberg, moral, morals, piaget, psychology, stages of development. Bookmark the permalink. Thank you! This is a great overview and critique. Thank you very much Damitr, this helped me a lot! Very interesting topic.